Brian Walshe has 25+ years’ experience across a wide range of areas within the energy and utility industries, primarily focused on design, construction and operations. In recent years, his work has largely involved developing new growth strategies and project developments associated with the decarbonization of the global energy system. Brian is also co-founder and owner of Trident Winds, LLC, which is a wind project developer pursuing the construction of Morro Bay Offshore, a 650 MW floating offshore wind facility off the coast of California. Brian began his career as a field engineer involved with the construction of several nuclear projects in the 1980s. He has since provided services to over 300 thermal or renewable power projects of all technologies, in various stages of construction or operations. He has also worked extensively in the T&D construction sector, and has been involved in several large, multi-state transmission construction projects. He has extensive international experience, having lived and worked with design and construction clients on five continents on topics related to energy and infrastructure development. In a recent engagement, he served as Lead Energy Engineer working inside the Qatar Ministry of the Environment, developing their renewable energy strategy to power the Qatar National Food Security Program. This involved coordinating major capital asset and construction program requirements with logistical impacts of the ongoing Qatari program management efforts supporting the Q22 World Cup. Brian interfaced daily the National Rail, Airport, SeaPort, Subway and Road construction programs underway that would impact the logistic import and delivery of food throughout the country. He has also worked with many of the global Engineering & Construction Leaders on several other large, multi-billion dollar project developments. He has served over 80 utility and regulatory clients and is very familiar with the unique aspects of operating in an engineering, utility, and utility construction environment. He has presented expert witness testimony at utility rate cases, served as an expert witness at a number of construction prudency reviews, and provided valuation testimony in civil bankruptcy court proceedings. He has spoken at many utility conferences on topics related to utility operations. 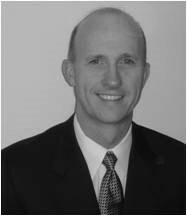 Brian has extensive experience in developing growth strategies for clients. This has included several utilities, government agencies, gas and electric contractors, and many utility Boards or Business Units. Brian was previously employed with McKinsey & Company, Navigant/Metzler & Associates, and Stone & Webster Inc. In each position, he focused exclusively on the energy and utility industries. He has a MBA from the University of Michigan and a B.S. in Civil Engineering from Northeastern University.